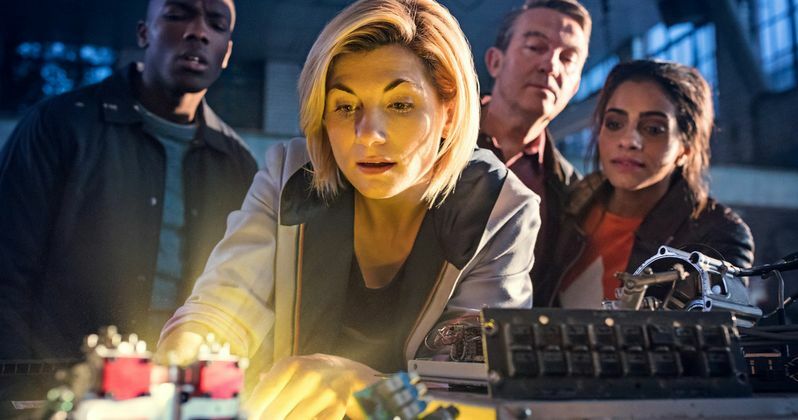 The lineup of writers and directors who are working on Doctor Who season 11 have been revealed. It's not exactly business as usual this year on the beloved and long-running sci-fi series. Not only does the series have a new showrunner in the form of Chris Chibnall (Broadchurch), who takes over for Steven Moffat, but we're also getting the first ever female Doctor with Jodie Whittaker. Plus, she's bringing with her a trio of new companions. Now, we have a look at a diverse list of talent who will be working behind the scenes this season. Chibnall had this to say about the upcoming season's writers and directors in a statement. "We have a team of writers who've been working quietly and secretly for a long time now, crafting characters, worlds and stories to excite and move you. A set of directors who stood those scripts up on their feet, bringing those ideas, visuals and emotions into existence with bravura and fun. Hailing from a range of backgrounds, tastes and styles, here's what unites them: they are awesome people as well as brilliant at their job. (It matters!) They love Doctor Who. And they've all worked above and beyond the call of duty in an effort to bring audiences something special, later this year." On the writer's side for Doctor Who season 11, we have Malorie Blackman, who has written more than 60 children's books including Pig Heart Boy, which was adapted into an award winning six-part miniseries. Other writers for the new season include Ed Hime (Skins), Pete McTighe (EastEnders), Vinay Patel (Murdered by My Father) and Joy Wilkinson (The Life and Adventures of Nick Nickleby). Most of these writers have worked in TV before, but it's a diverse lineup, with Patel coming from a theater background, for example. Patel had this to say about his new job. "I grew up watching shows like Star Trek and Quantum Leap on the edge of my dad's bed, and I loved how they managed to capture the imagination of a kid like me as well as acting as a moral compass. I never imagined that I'd get to write for Doctor Who, I was pretty thrilled." As far as directors go, Sallie Aprahamian, who has two decades of experience directing TV under her belt, having worked on shows like EastEnders and The Dumping Ground, is on board. There's also Jamie Childs, who was actually at the helm for Jodie Whittaker's video reveal as the new Doctor. She's also working on the BBC's upcoming His Dark Materials. Jennifer Perrott (Home and Away) and Mark Tonderai (Black Lightning) are also amongst those who will be tackling episodes of Doctor Who this year. Childs had this to say about working on the show. "We tend to avoid making many shows in Britain that really allow the audience to properly escape, and Doctor Who has been doing this for decades. So yes, sign me up, I've always wanted to be part of that! There really aren't many shows made over here that allow the viewer to travel to another universe." It's clear that the creative team isn't going to be shy when it comes to showcasing diverse voices both in front of and behind the camera moving forward. Doctor Who season 11 doesn't yet have a premiere date, but it's set to arrive this fall. This news comes to us courtesy of the BBC.